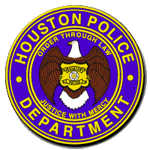 Houston police have released surveillance video in the fatal shooting of a man that occurred at 7200 T. C. Jester Boulevard about 10 a.m. on Monday (February 11). The victim, Magdaleno Reyes, 59, was pronounced dead at the scene. HPD Mobility Response Team (MRT) personnel driving in the area observed a male lying on the sidewalk at the above address, suffering from an apparent gunshot wound. They then saw a vehicle leaving the scene northbound on T. C. Jester. 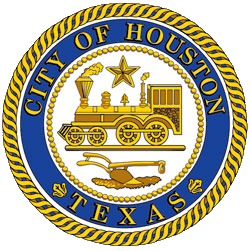 The MRT units followed the vehicle, obtained a license plate, contacted HPD dispatch and then returned to the original scene until officers and Houston Fire Department paramedics arrived. Further investigation determined Mr. Reyes had been shot in a robbery while he was standing near the corner of T. C. Jester and Holder Forest Drive. His cell phone and wallet had been stolen. The suspect vehicle can been seen in the upper left hand corner of the surveillance video, pulling into the intersection and at least one suspect is seen exiting the vehicle from the passenger side and running toward the left. The suspect then is seen running back to the vehicle and getting in the passenger side. The suspects are described only as three males. One is believed to be either black or Hispanic, in his 20s, about 5 feet 6 inches tall and weighing 140 to 150 pounds. They fled in a gray Toyota Camry with Texas license plates HHT-1888, which was recovered a short time later in the 3900 block of Creekmont Drive, and had previously been reported stolen.